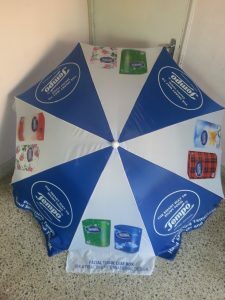 Promotional umbrellas are also termed as Advertising Umbrellas, Customised Umbrellas, Personalised Umbrellas, Outdoor Advertising Umbrellas and Personalised Handheld Umbrellas. The term promotion can be of any time like Business Promotion, Sales Promotion, Product Launch Promotion, Scheme Related Promotion and many more. Promotional umbrellas are considered the most cost effective mode of any promotional activity. We, Shubhamm Inc are not just one of the finest Promotional Umbrella Manufacturers in Mumbai but India as well. 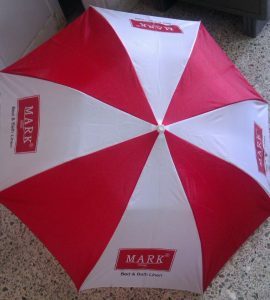 The process of manufacturing a Promotional Umbrella is more compared to the manufacturing of any other umbrella. 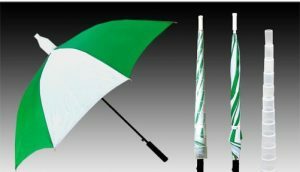 Promotional umbrellas are customised as per client requirement and fabric colour combination as well. There are many raw materials required to make one single umbrella, but because of our skilled man power and continuous efforts towards R &D; and providing the best umbrella at the most reasonable price makes us feel proud to be knows as one of the top most Promotional Umbrella Manufacturer in India. We cater mostly to the corporate sectors who require umbrellas for business promotion activity or sales promotional activity or any other marketing activity. 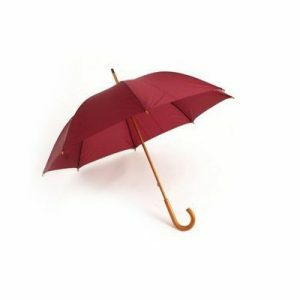 We manufacture umbrellas like Two fold Umbrella, Folding Umbrella, Gents Umbrella, Ladies Umbrella, Wooden Umbrella, Anti Drip Umbrella and many more. We also involve into maximum level of customisation on the grounds of printing on the umbrella.